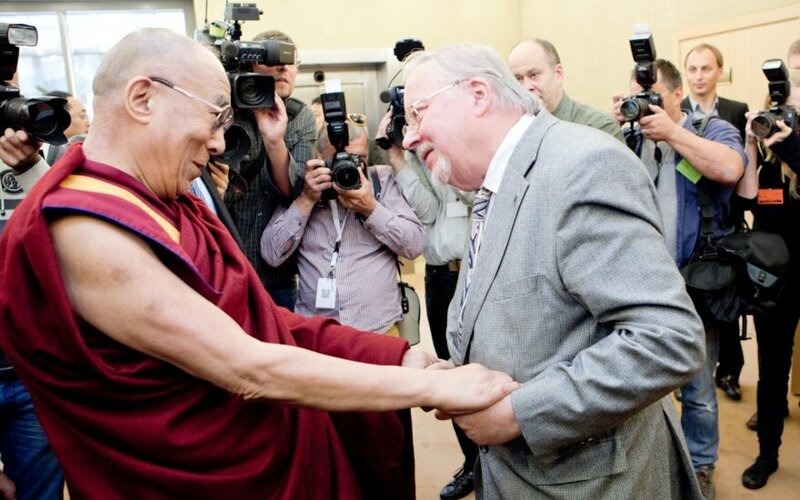 Eight members of the Seimas and Lithuania's first post-independence leader Vytautas Landsbergis met with the Dalai Lama in Vilnius on Thursday morning. 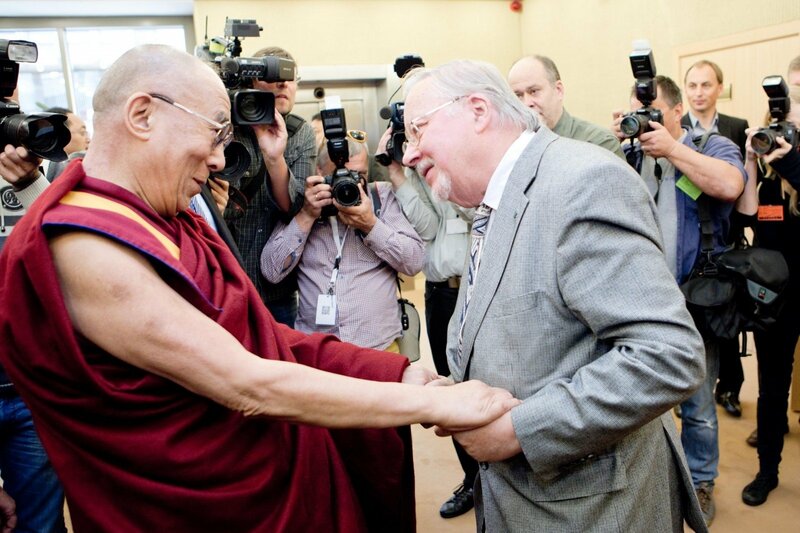 Landsbergis had a separate meeting with the Tibetan spiritual leader. Andrius Navickas, chairman of the Lithuanian parliament's Provisional Group for Solidarity with Tibetans, told BNS that their meeting with the Dalai Lama covered topics such the significance of culture, military conflicts and climate change. Arūnas Gelūnas, deputy chairman of the group, said that not much attention was paid to the situation in Tibet. "He, of course, condemned the brutal use of force, violence, and even mentioned Bolshevism and said that Lenin corrupted Marxism, making it a militant, vengeful system," he told BNS. Navickas criticized Lithuania's leaders for not meeting with the Tibetan spiritual leader during his fourth visit to the country. "That seems a short-sighted approach to me. I think the leaders of our state, I mean the speaker of the Seimas and the head of government, forget that the world likes the brave and principled ones, and those who try to guess where the wind blows from and to see economic benefits eventually lose," he said. The lawmaker said that President Dalia Grybauskaitė "tried to diplomatically completely ignore" the Dalai Lama's visit. "I believe the president would have benefited if she had met," he added. Prime Minister Saulius Skvernelis has said that there was no need from either side for a meeting between him and the Dalai Lama. The Dalai Lama will go to Latvia after completing his visit to Lithuania.